Gavia and Starcat wish you all a Merry Christmas! HalMock does, too. It’s been a busy year for us. We’re working on a new game idea and remaking two existing titles (one for the Jaguar, one for PC). Starcat has also been working hard to get his Steampunk Detective novel (FB page) published, which is a spiritual successor to the Eerievale stories. Sadly our German publisher could not fulfill their contract and we’re in contact with a literacy agency to find a new home for the novel. We’ll have more game related news to share soon. For now here is just a little something for you. 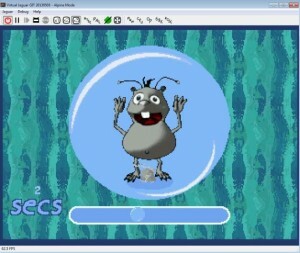 HalMock FurBall : Sink or Swim for the Atari Jaguar has been updated with the latest version of the U-235 Sound Engine. A few minor problems in the game have also been adressed and stability has improved. You can find it in the download section. Do you have a soft spot in your heart for retro style and adventure games? Then come along on a two week adventure in game development and storytelling! I’m on board for AdventureJam 2018 which is from 4th May to 18th May. Maybe you’re curious to jam as well? Or just want to follow along? Best thing is you don’t even have to move away from your screen. It’s all digital magic and I’m doing this one in English to reach more people. A tiny peek into my daily creative work, writing and game development. All in the compact form of work in progress pictures, rough snippets and thoughts. You get to guess what it is I’m building. And you’ll get to play the game in the end. Granted a lot will go differently than expected. Other than that I don’t know yet where this will go. But isn’t that part of the adventure? For the duration of the jam I’m moving this into my daily writing time in the morning. Then it’s off to my dayjob. So the timeframe is very limited. Only a few hours each day. Let’s see where this leads, shall we? HalMock FurBall : Sink or Swim – UPDATED! HalMock FurBall: Sink or Swim is a cartoony one-button highscore-hunting game for the Jaguar. The game is designed to run from RAM. 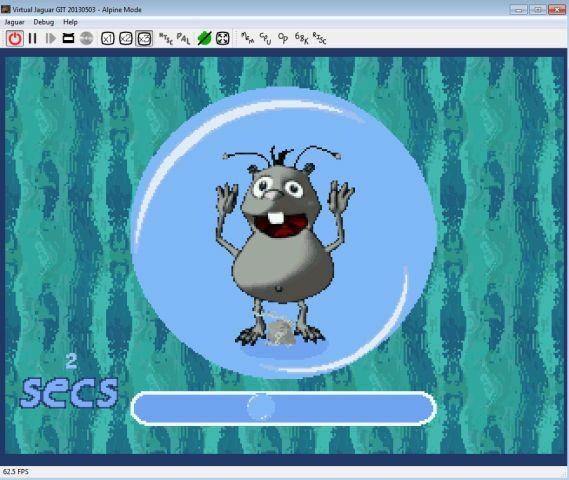 The zip file we provide contains the Virtual Jaguar emulator for Windows as well. 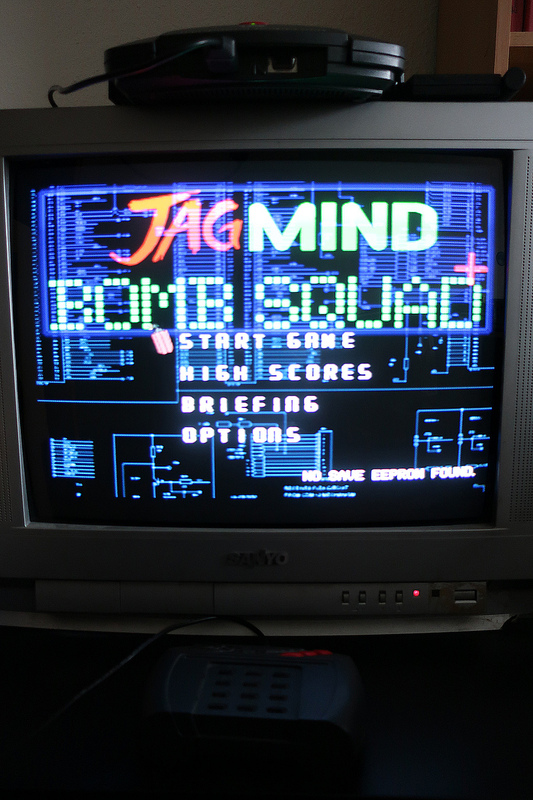 So you can check out the game even if you do not have a Jaguar console. Ah well. Interesting things are happening in the Atari Jaguar community. 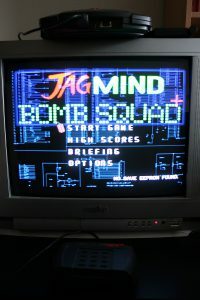 There have been several releases by Reboot, among them some classic Atari ST titles brought to the Jaguar and their fine Raptor Engine, which helped bring more developers and their games to the Jaguar. 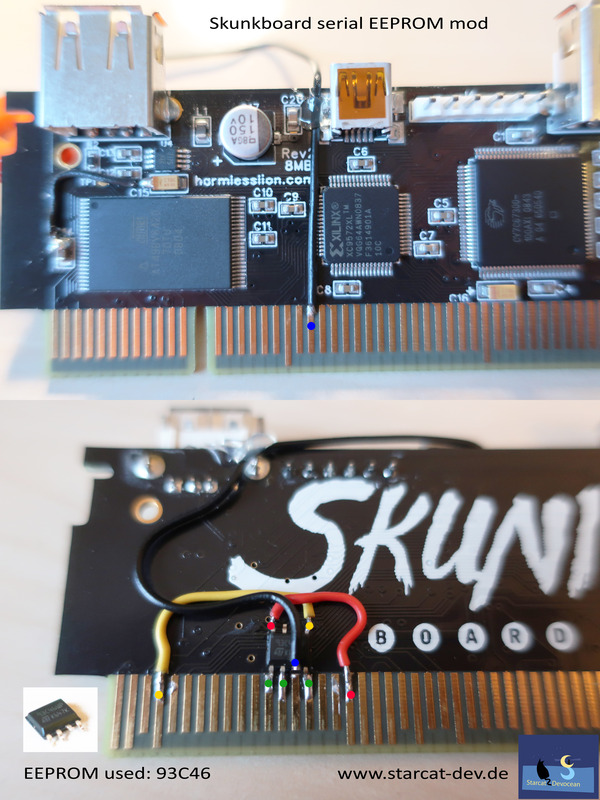 And there is a SD Cart on the horizon made by another developer which will open a lot of new possibilities! I’ve been working on a book for most of this year which is sort of a spin-off to Eerievale our canceled adventure project. Sadly the game was too big to be completed without funding and a team working on it full time. What remained was a lot of story and no way to tell it. That was until earlier this year I found a publisher for my book! It features a series of seven steampunk detective stories set in the world of Eerievale. Each of these stories or cases feel very much the way I wanted the adventure game to feel. So the book is probably as close as it gets to the game. As you may have guessed for now it’s in German only, but who knows what happens if there is enough interest. Maybe my publisher will consider a translation? The book is scheduled for a release in Autumn 2018. So here we are. The blog is up and running. You may wonder what we will do next? We feed the cat, the Atari Jaguar that is. We do exactly what we came for. We make games. And to give you something to return for, feast your eyes on the pixely goodness. This still unnamed project features our HalMock FurBall character. Three, two, one- launch! Hold on to your hats! We’re blasting through the aether at crispy clear resolution and in color. Right to the reception terminal in your home for you to enjoy. Ready to blow the dust out of your trusty TV set. Bringing you the finest in interactive multimedia home entertainment of the past century. We are Starcat Devocean and this is our cozy little spot on the aether. We’re a German homebrew / indie game development team with a soft spot for abandoned system such as the Atari Jaguar and Sega Dreamcast. Haven’t heard of those? Ever?! Well, if you’re less oldschool, don’t fear. We’ll figure out a way for you to enjoy what we create. When the time has come, we’ll point you towards a proper emulator or for the less techy and geeky, a Windows build here and there. That should work, right? If all else fails you can always enjoy our transmissions here on the blog and look at some neat low-resolution, full-color pictures. Low-resolution?! Yup. And nah, we’re not intentionally crippling our artwork to spite the HD lovers. Our artwork always is low-resolution. We may even blow it up, but you’ll see a lot of pixels. Better get used to it. Everything we do is lovingly hand-crafted and almost as fine as you may remember it from back in the day. Almost?! Hey, give us a break- we’re talking about memories here! Memories are untouchable. We can’t do magic you know. However we’d do our best to create games that draw you into their blocky worlds full of weird characters and strange tales. Join us for a super fun time! Oh and please don’t try what you see in our games at home, kids. Pixels don’t mind to be rearranged, people pretty much do! We believe realism should be off-limits in games. We want to show you something you won’t find in the world out there. This is supposed to be an entertaining journey after all! Best of all, what we do is free. We do all this in our spare time as a hobby, because we believe creating fun games should be fun and games in the first place. If you want to support our efforts and like our work, please consider a donation at some point and spread the word.